Owning a hot tub is like having a personal hot spring in your backyard, perfect for unwinding after a long day to ease those sore joints and muscles. However, there are plenty of considerations one needs to keep in mind before making an investment and that includes inspecting the best hot tub filters. These filters need to be replaced after 18 months if they are looked after properly. Additionally, it needs to be cleaned after every 4 to 6 weeks otherwise the filter material is likely to be clogged. Filters reduce the number of dirt particles and impurities that are pumped back to the hot tub’s water. When you are shopping for the best hot tubs, don’t forget to ask the vendor about the size of the filter needed according to the hot tub. Some hot tubs require more than one filter. In these cases, you need to ensure the filters are easy to access and remove. The Media - This component is typically white and has a fabric-like appearance. The water enters the media and extracts debris. The material is often made using spun bound polyester. It is molded into a cloth-like material and then pleated. The Core - This is the internal structure of the filter that supports the force of the water flow. If the core is not sturdy enough to retain the integrity of the filter, the water flow is alleviated. End Caps - These plastic materials connect the filter to the plumbing system of the hot tub. End caps usually have an opening and sometimes feature a slip-like or threaded end attachment. This is the most common filter type available primarily because it is among the most affordable options out there. The cartridge style filter system features a simple yet effective cartridge material. These filters are typically installed on the side of hot tubs. Water must enter the filter before entering inside the hot tub. However, in some cases, cartridge filters may also be found outside of the hot tub as well. Most people opt for this kind of filter because it is easier to remove, soak and rinse. 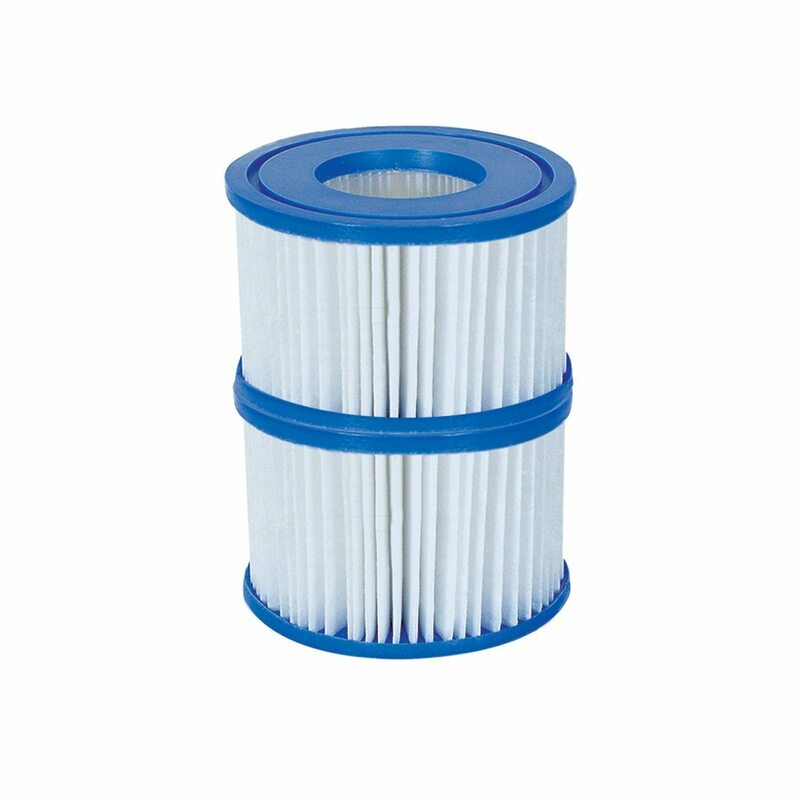 So, if you are in search of a filter that is easier to clean, invest in a cartridge filter system. 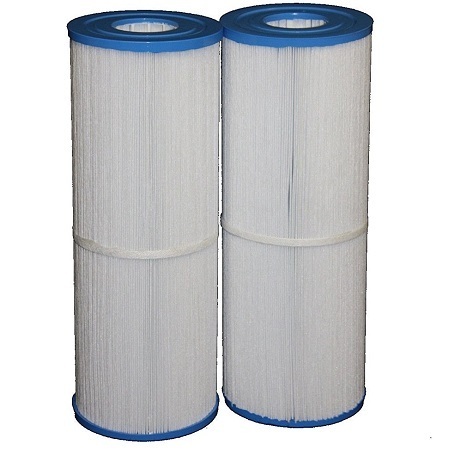 Diatomaceous Earth Cartridge Filter is a special type of cartridge filter. However, the two types are not exactly the same. However, this type of filter is set up in a similar way to traditional polyester cartridge filters. This type of filter features a fine powder that is used to remove as many kinds of bacteria as possible. The powder is made using the remains of diatoms which have fossilized deep inside the earth. This material is found in most parts of the world and its abundance makes it an affordable alternative to polyester cartridge filters. Throughout the years, ceramic has been popularly used by many different groups of people. One of the most widely used and simplest forms of ceramic filters is the clay pot. In this type of filter, water is passed through the clay pot and removes most of bacteria and other sediments using the porous surface. The clean water is the transferred into a container that is ready to receive it. Ceramic hot tub filters operate in a similar manner, though they are a bit more sophisticated than other options. These filters typically contain an extra level of activated carbon for added protection. This type of filter is increasingly becoming more popular. It is a great option for pool and hot tub owners who are in search of a less chemically-enhanced way to filter dirt particles. However, on the downside, this type of filter is not as strong as other filters on the list. However, it will do a good job in filtering water if it is used with other kinds of water sterilization products. The filters are made using large balls filled with sand that sit on the side of the hot tub. Water passes through the sand is filtered of any kind of debris and bacteria along the way. 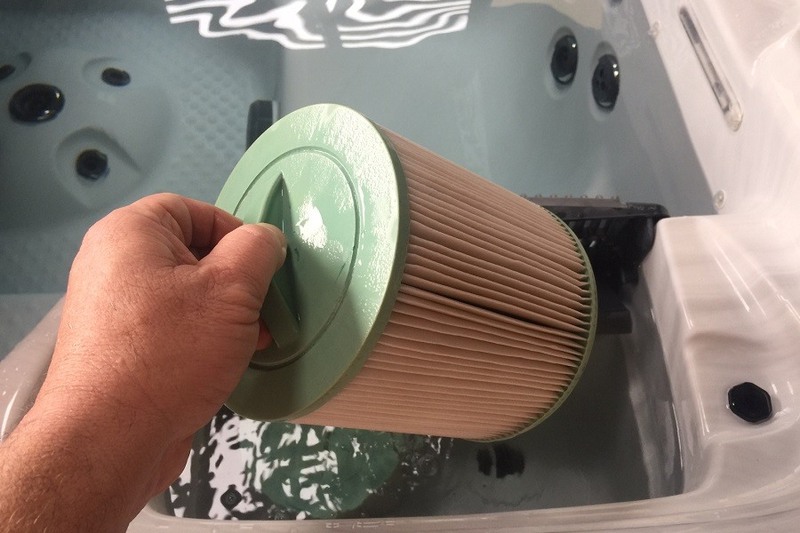 For best results, this kind of filter must be cleaned weekly, especially if you frequently use the hot tub. Using bleach is popular old-fashioned way to keep your hot tub water sparkling clean at all times. However, before you start the cleaning process, keep in mind that some filter cartridges cannot withstand prolonged exposure to bleach because of its harsh chemical properties. Only use this cleaning method a few times or alternate it with some other cleaning method to prevent damage to the cartridge filter. If you do not want to go down the DYI route, you can use a commercial-grade filter cleaner. These commercial-grade is sensible option if household cleaning products aren’t getting the job done for you. 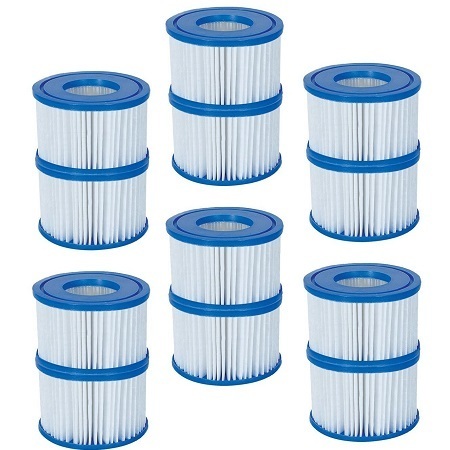 These filter cleaners are designed to combat bacteria and may also help remove water calcium build-ups. Ensure you have your hands on a good product that can be used regularly. 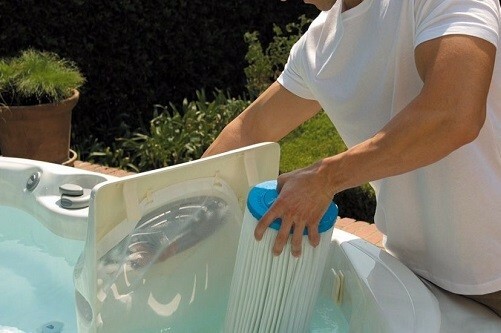 Detach the filter from the hot tub and place it on a tarp in your garage or backyard. 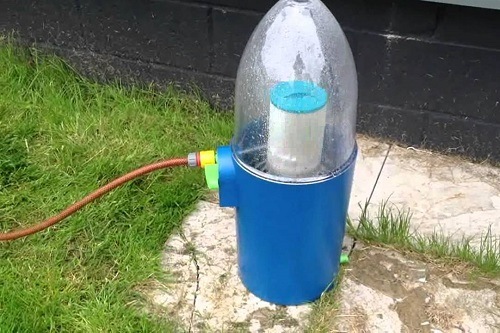 Use a spray bottle to spray the filter cleaner generously on the machine. Ensure to get every pleat of the filter media. ​Allow the filter to rest for at least 2 hours, allowing the cleaner to permeate the dirt and debris. Note: If the filter is producing a lot of foam in the water, you probably haven’t rinsed it properly. Take it out again and clean the residue. There will be times when you will need to replace the hot tub filter. It is required that you replace the filter at least once a year. First things first, you must locate the hot tub filter using the owner’s manual. The filter is partially visible in most tubs so you won’t have much of a problem. Use a screwdriver to separate the filter from the hot tub. In most heaters, you can free the filter from the compartment by simply twisting it counter-clockwise. Check the filter’s condition and toss it away if you will be replacing it with a new one. Attach the replacement filter using the screwdriver. This step is a reverse process of removing the old filter. Now it is time to switch on the hot tub back again. Allow the water to run through the system for a couple of hours for the system to acclimate. The hot tub is ready for usage. Don’t forget to replace the filter again after 12 months. 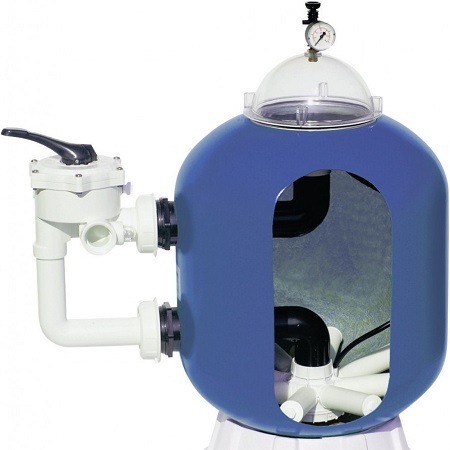 The Guardian Filtration Products Hot Tub Filter is among the best quality hot tub filters in the market and can be used with a variety of different hot tubs. The filters feature reinforced threading for the filter media, which ensures the pleating will not become loose or ineffective after frequent use or cleaning. 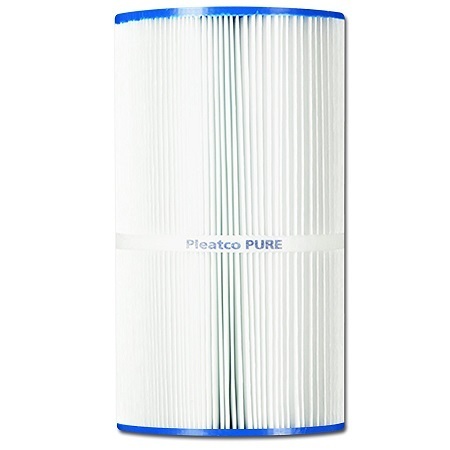 The Pleatco Replacement Filter Cartridge is manufactured using the highest quality raw materials. The durable end caps feature unparalleled resistance and is designed to withstand harsh water treatment. These filter cartridges are designed to last longer compared to other replacement products in the market. The superior “free flow” center offers 20% more water flow efficiency and is tougher than any old PVC core in your filter. It might not seem like much but the efficient filter cartridge will help you cut costs on energy bills because of its efficient water flow. 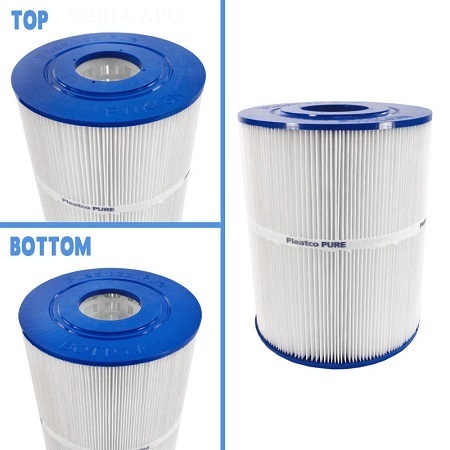 Are you in search affordable filter cartridge replacement options that won’t bust the bank? 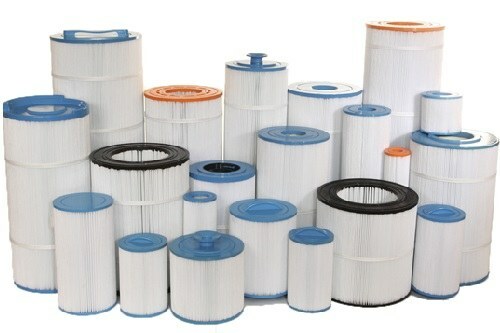 Consider investing in a set of Coleman Filter Cartridge Replacement. This filter will keep the water in your spa clean and refreshing for seasons to come. The cartridge is compatible with a number of Coleman brand spas. To ensure the hot tub works efficiently for years to come, regularly change the filters. Do not hesitate to contact the manufacturers for more information about these products. You can also check out a number of customer reviews about the products to gain a better insight of how well they perform. Keep in mind that the prices may vary depending on the vendor. Choose a reliable vendor who will provide you with quality products. 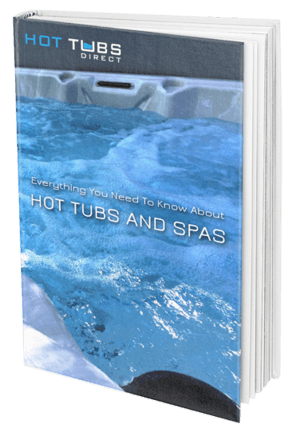 Hopefully, this detailed buyer’s guide has helped you learn everything you need to know about hot tub filters. To ensure the filters last for a longer period, clean them regularly especially if you use the hot tub frequently. If you are unable to remove the filter from the housing compartment, consider calling the help of friend or neighbor who can help you out with the process. Good luck!